It’s SUPER unhistorical, according to the Polish community. Apparently the dedicated people who collected materials for WG on historical modules for 6 years were ignored too, to top it off. Also, notice the turret? Looks awfully similar to the Hungarian 38M Toldi II. 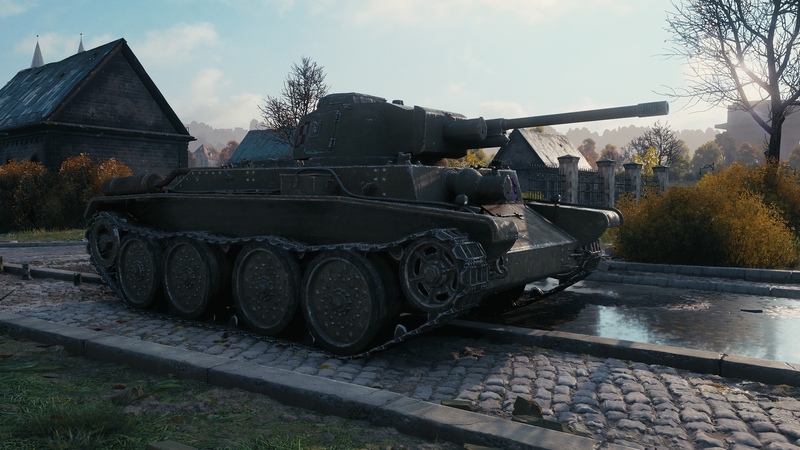 I added a pic below so you can compare the WoT tank to the real one. 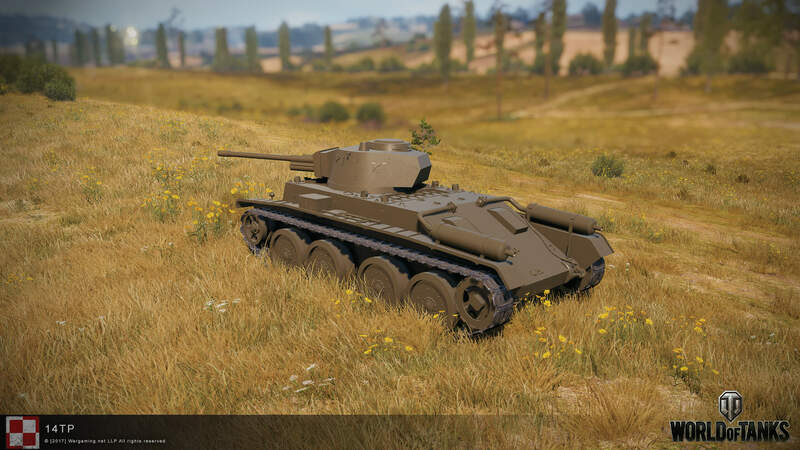 Let’s go back to the tank stats. The parameters might change in the future. at maximum vehicle rotation speed: 10,55. That comparison. Wew lads. 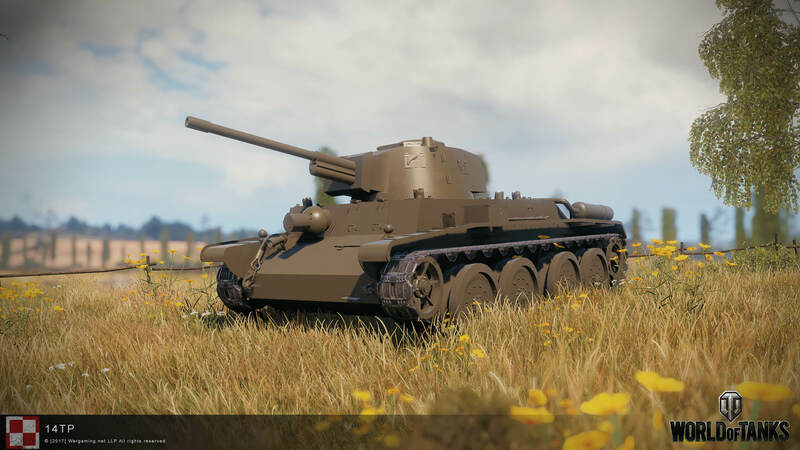 WG just went full retard. Again. Trash that will be smashed. That’s what I like to read! It appears to be decently mobile, but again, just as tier 2 and 3, very under-gunned. 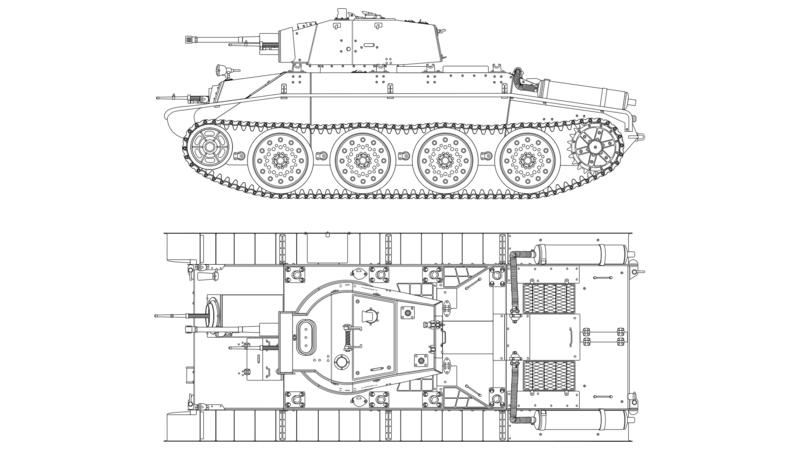 While in relation to the 10TP tank, we have rather full information (including photographs, allowing the restoration of it’s appearance in drawings), then information related to the tank 14TP are quite rudimentary.​ The report on the state of armored warfare presented at the KSUS meeting in January 1937, contains the characteristics of different vehicles in the form of side sketches with the overall dimensions and the essential technical and tactical data.​ In these materials, the drawing of the 14TP is identical to the drawing of the 10TP, but later it’s appearance can be changed, because the design was in the even development stage. 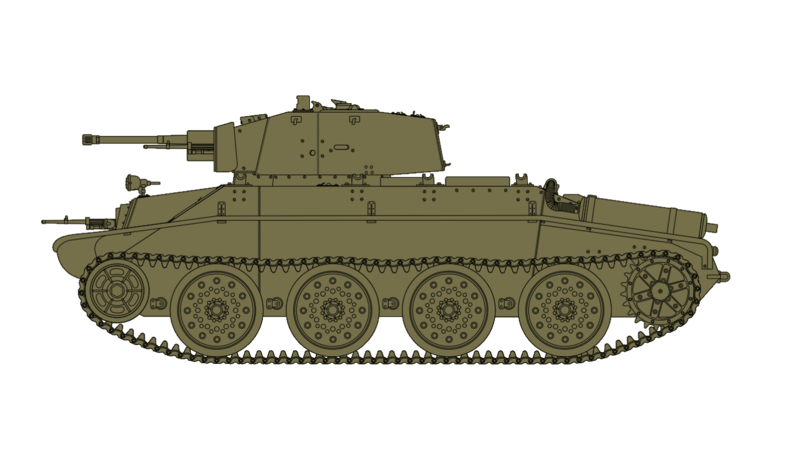 Independently of wheel – tracked cruiser tank 10TP, the program provided development of tank with construction was similar to 10TP but with armor reaching a thickness of 10 – 35 mm. 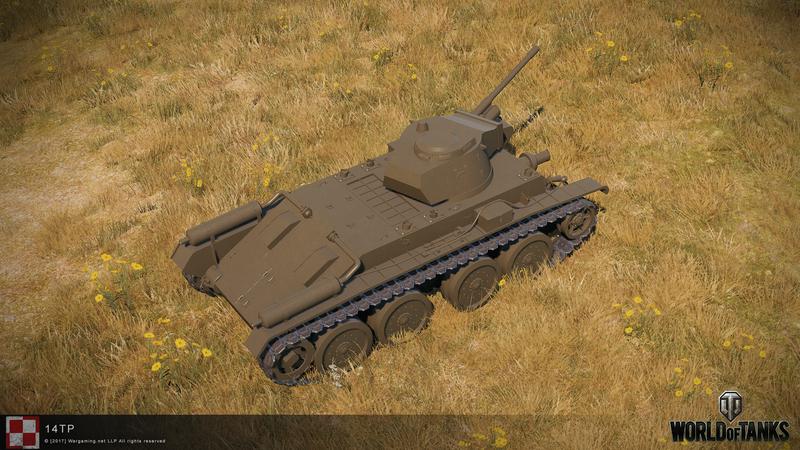 It have designation 14TP and was under development parallel to the cruiser tank 10TP. 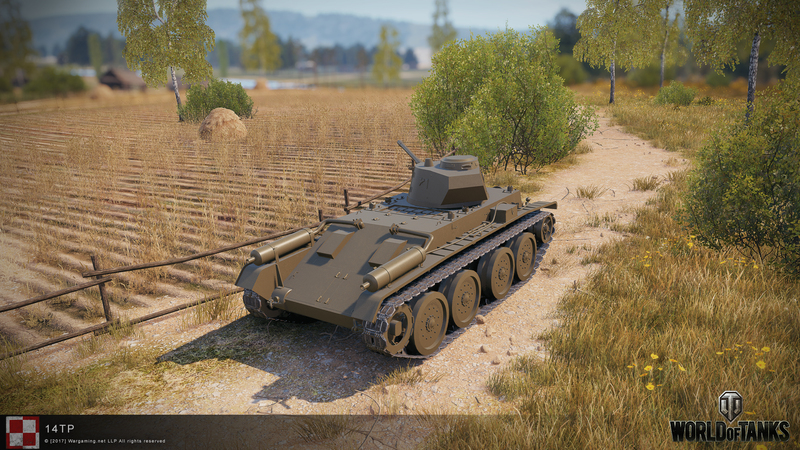 10TP trails proved that the concept of wheel – tracked tank is a dead end, the tank even as a refined design wouldn’t have such qualities that could justify mass production. The Successor of 10TP – 14TP repeated design of 10TP with same chassis system. However, this tank has to move solely on tracks and featured engine of 300hp. power. He had to reach speed of 50 km/h. Has changed shape of front hull, designers resigned from the steering mechanism of the first axle, hydraulic lifting mechanism of second axle and of complex gear driving the rear wheels. During the 10TP trails engineers conducting research reported many reservations about the complex driving gear wheel, in practice become clear this complex rear ger wasn’t used because tank could move on wheeled traction only on the hard roads while any atemp to off-road driving ends of tank being stuck. In such situation, the complex gear did only unnecessary strain on the vehicle and took precious hull space with could be saved for the better armor, ammunition and fuel. The front plate of the hull had to be probably a single plate inclined at a large angle. Water cooled Browning wz.30 machine gun mounted in heavy armored mantle of front hull, supposed to be replaced with prototype Air Cooled Type-C machine gun mounted in much lighter and simpler ball joke of eng. Napiórkowski. 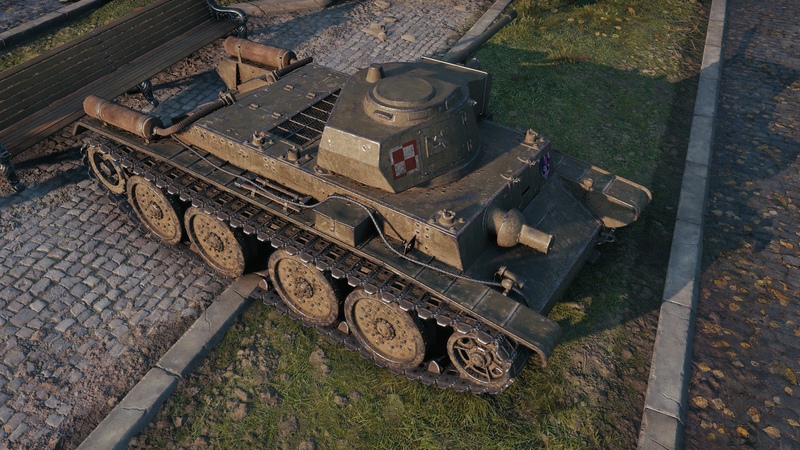 Weapons mounted in turret and the turret it self suppose to be similar to the ones of 10TP, but the Browning wz.30 in heavy armored mantle has to be replaced with prototype Type-C machine gun in a simpler Napiórkowski ball mantle. 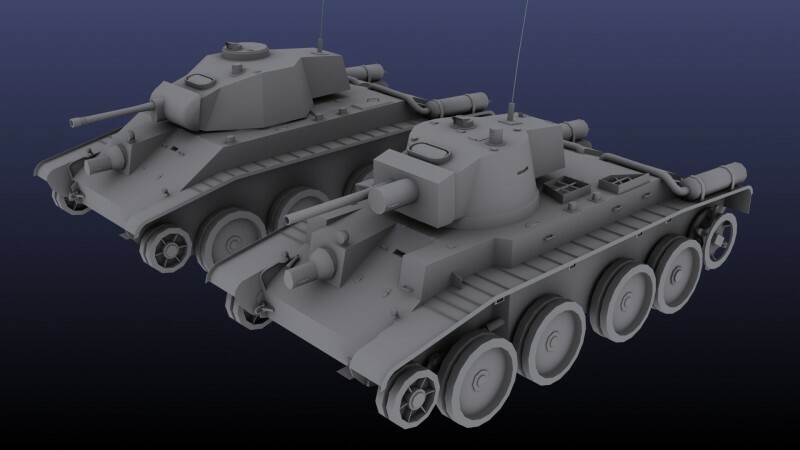 Probably in the future the main gun of tank could be the prototype anti tank gun of cpt. Stetkiewicz design. 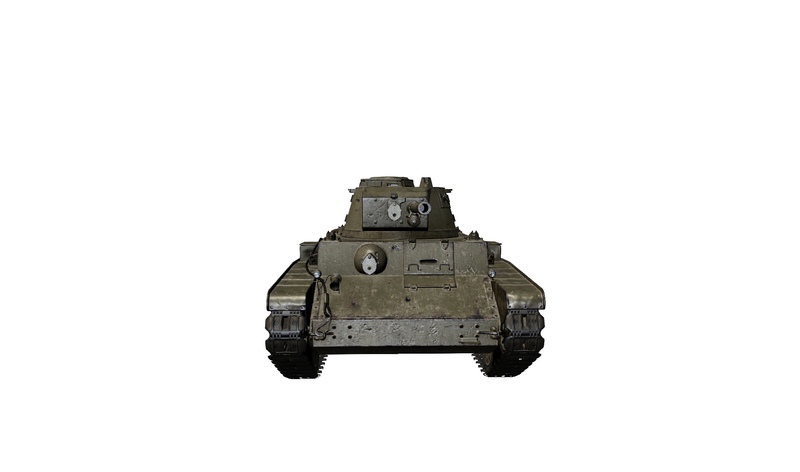 Turret has to be made of thicker armor plates (35-50mm), it is known that such turret was in development in spring of 1939r. 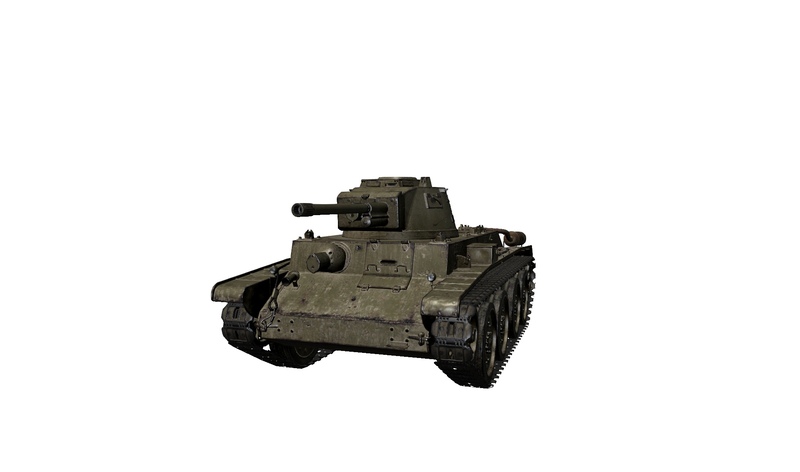 perhaps for its development was used prototype turret of 10TP. Design of welded armor of this were entrusted to debuting Eng. Stefan Stankiewicz. Amazingly, for the armor of the new tower Eng. Stankiewicz did use plates of only 20mm thickness. Perhaps due to the troubles associated with the implementation of technology required fo manufacture of bent armor plates of a greater thickness. 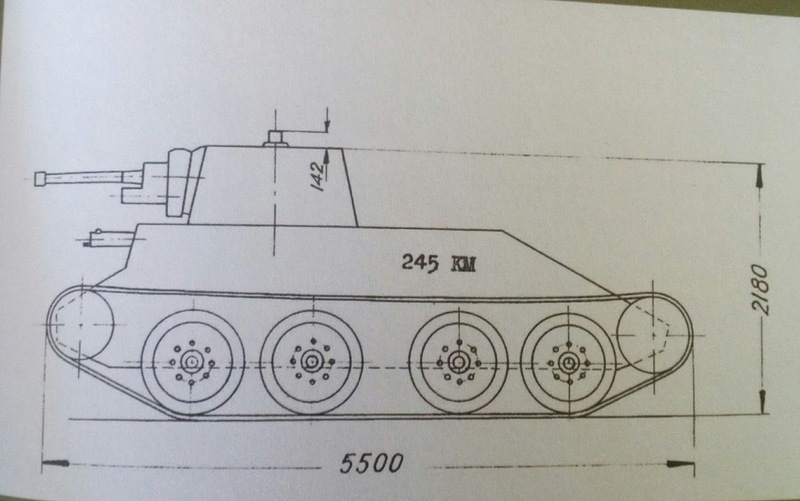 The question of the degree of completion of the prototype tank 14TP remains open. 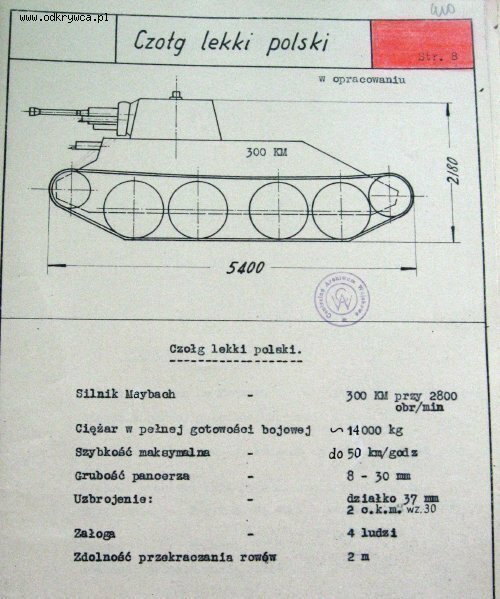 Official report of B.B.T.Br.Panc in June 1938. state information that construction works on the “light tracked tank” were almost finished, with 60% of components being already ordered, of which already received the tracks and leaf springs. In July, 1938. was Expected to receive the engine and gear-boxes, which could allow building and first trails of prototype in March of 1939. Meanwhile cpt. 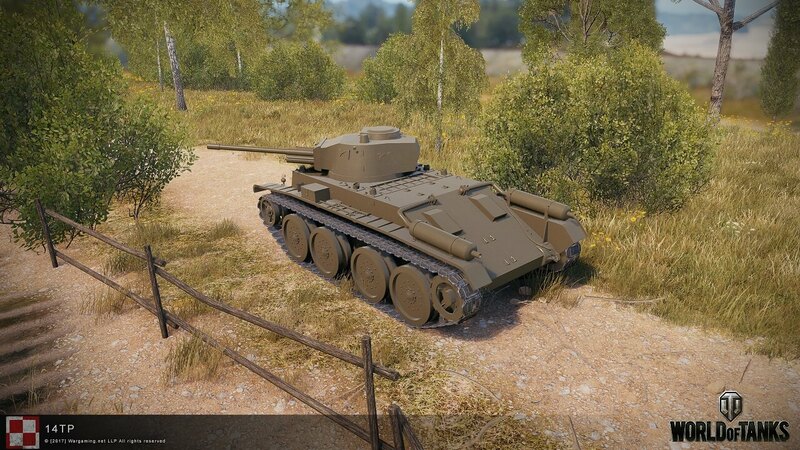 Czekalski after the defeat in the September written a report claimed that in 1938. were carried out studies on the tank 14TP​, and a wooden mockup was build in 1939r. 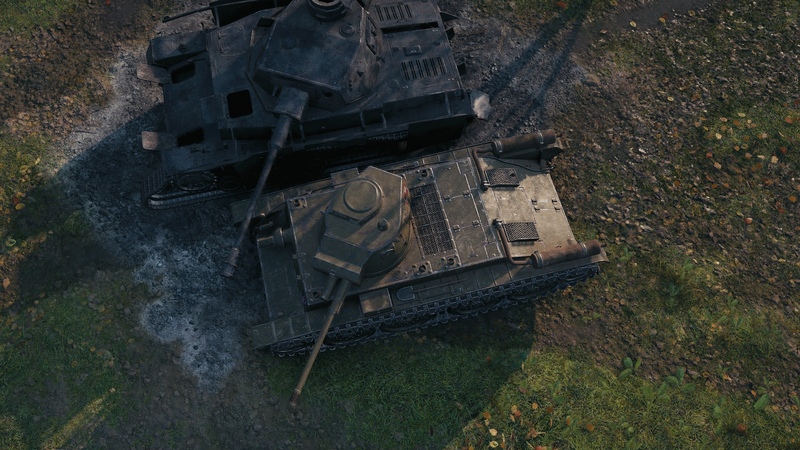 WG wrongly assumed the shape of front armor of 14TP. What they assumed to be upper part of front plate is in fact a part where machine gun was mounted. To the left reliable reconstruction of how 14TP could look like, to the right 10TP for comparison. only drawings of gun left (no photos) but there are informations from tests: 4 types of APCR ammo were tested – two rejected (the weakest) penetrated 50 mm of armor plates at 90 deg from ~2100 m and 1500 m. In WoT we have values of penetrations at 100 m… and WG gave this gun only 56 mm, when for example Czech 47 mm Skoda A11 has 86+ (and it penetrated 40 mm of armor at 1500 m). 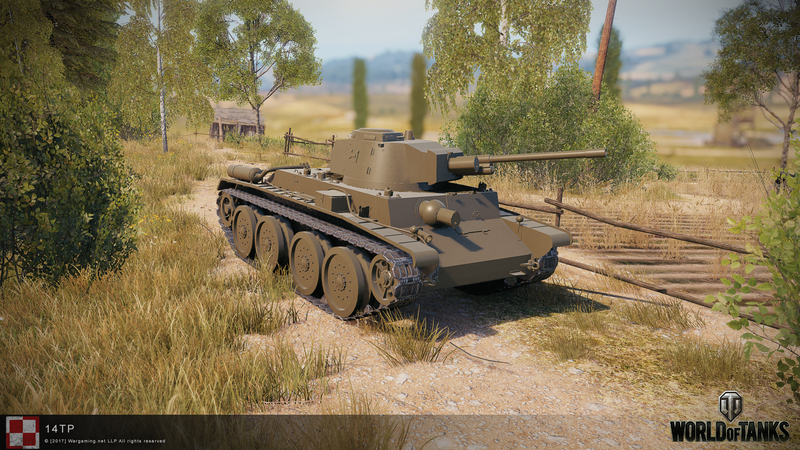 Basically it is on our site which you posted 🙂 There is an “Details” button (some short history – mainly for low tier tanks – and link to imgur gallery). Intense rage over this nonsensical thing. 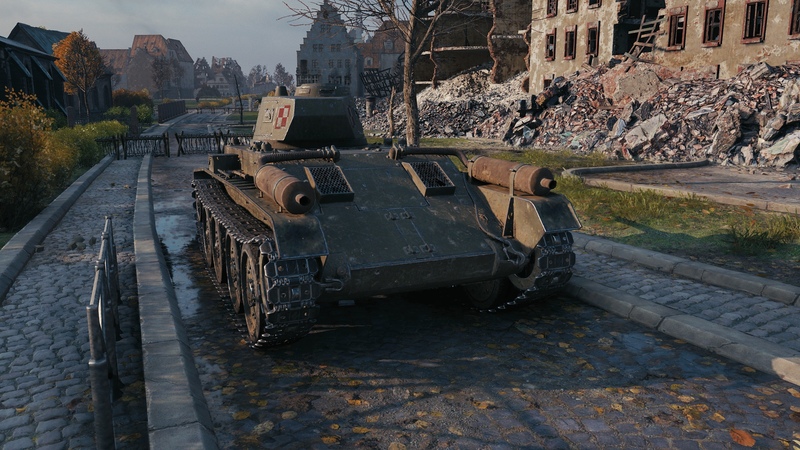 But then again, PL is representing 80% of EU’s playerbase so we have to understand the anger when their trash tanks are not up to their historical counterparts…shame on you WG.